Graphical environment for Ping. 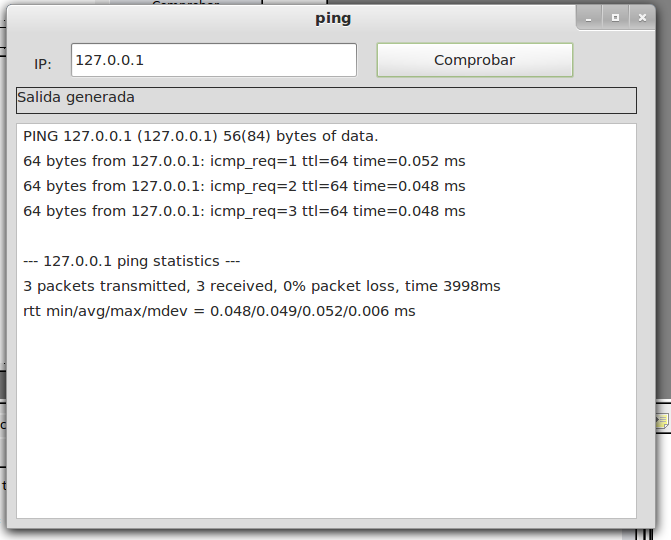 Ping is a diagnostic utility computer network that checks the status of connection n the local host with one or more remote computers via the news submissions ICMP request and response. Using this utility can be diagnosed the condition, speed and quality of a given network.